Superman Leads EW’s Summer Movie Preview! 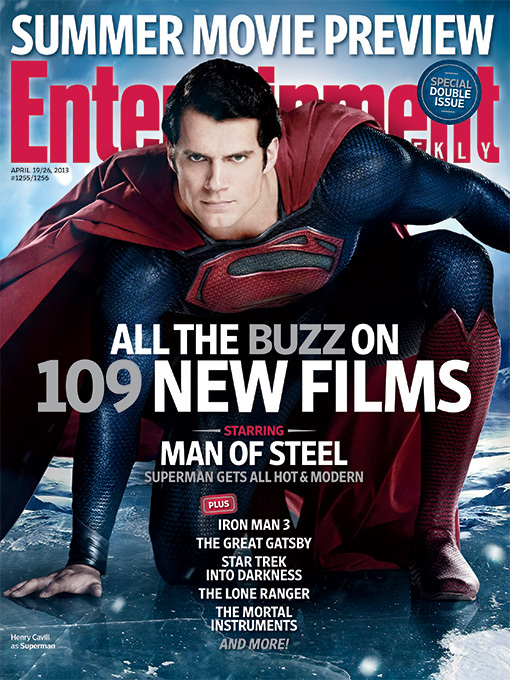 Entertainment Weekly has debuted a new photo and learned details from director Zack Snyder’s Man of Steel. The Superman reboot stars Henry Cavill, Amy Adams, Michael Shannon, Kevin Costner, Diane Lane, Laurence Fishburne and Russell Crowe. This week’s cover story reveals how Man of Steel attempts to humanize the superhero by finding new flaws and vulnerabilities. The most common one, however, was off the table: “I’ll be honest with you, there’s no Kryptonite in the movie,” says Snyder. Warner Bros. Pictures will release Man of Steel in 2D, 3D and IMAX 3D theaters on June 14, 2013. Click the image below to view more images in the gallery.